Thank you LOFT for partnering together on this post! 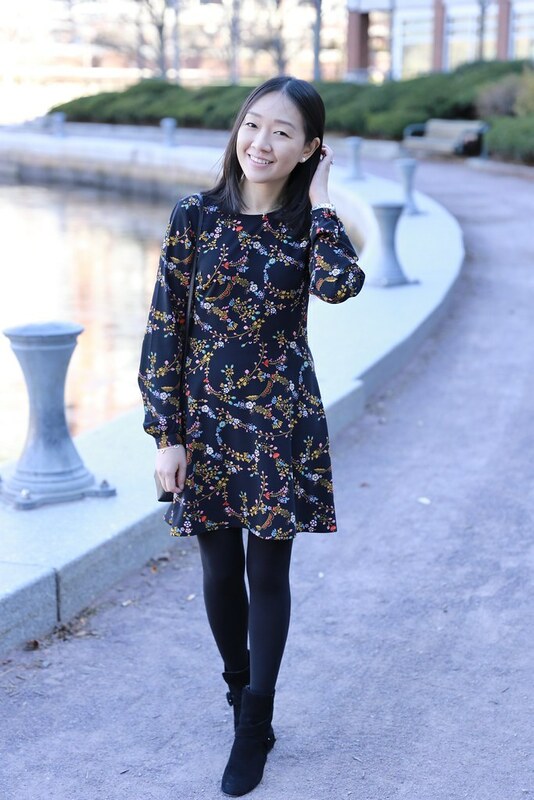 I love this bold floral garland print on this dress and it’s a bolder choice that you can wear to work and holiday parties. If you like this print it is also available as a wrap blouse. With such a statement print this dress looks best with minimal accessories. 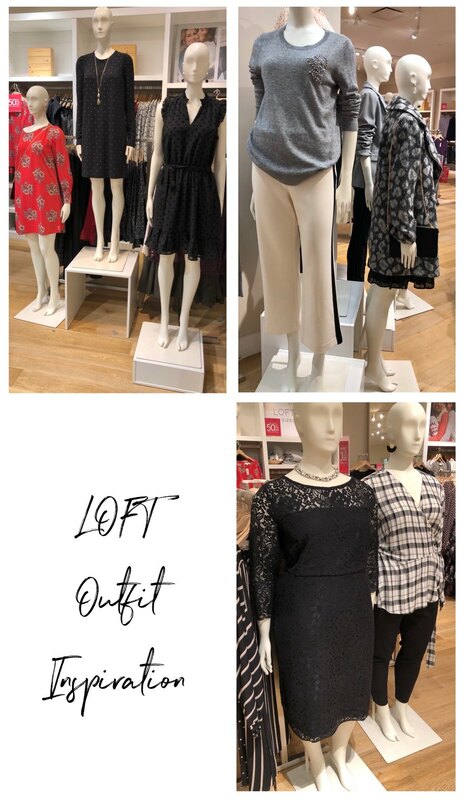 Have you shopped LOFT’s NEW + NOW event or do I even need to ask? You can still get 50% off your purchase in stores and online using the code NEWNOW. FYI. Today’s daily deal is full-price promotional coats $89 and under. Since no code is needed on the daily deals you can use code LOFTCASH to save an extra $25 on your full-price promotional purchase of $50+. If you shop in stores you can redeem multiple LOFT cash cards for an extra $25 off every full-price purchase of $50+. 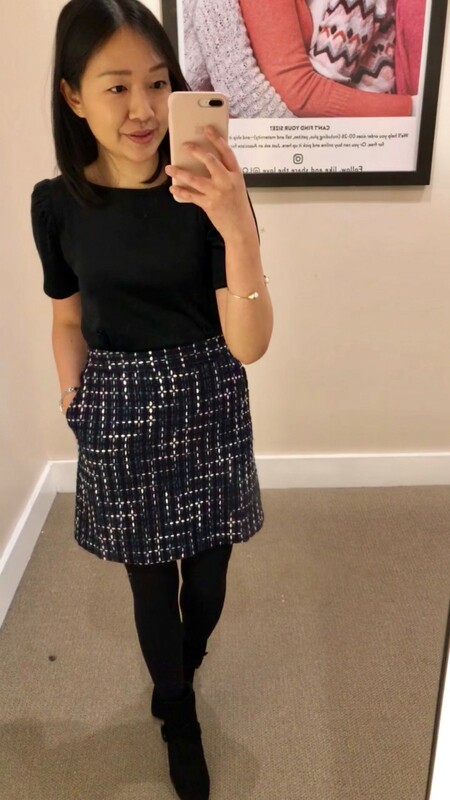 I had a lot of fun styling this tweed pocket shift skirt (c/o) at my local LOFT @loveloft_prudentialcenter. The skirt runs one size bigger since size 00P fit like my usual size 0P. The measurements of size 00P are: 27″ waist, 34″ hips and 17″ total length. 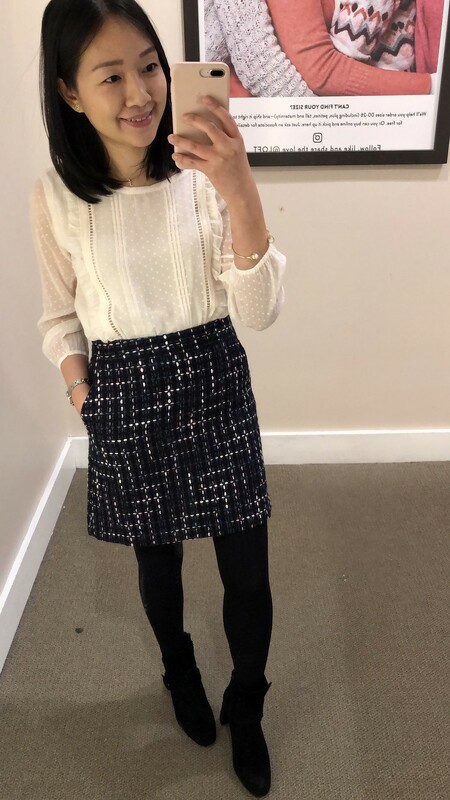 The skirt is a shorter length but it looks appropriate paired with tights. Which look is your favorite look? 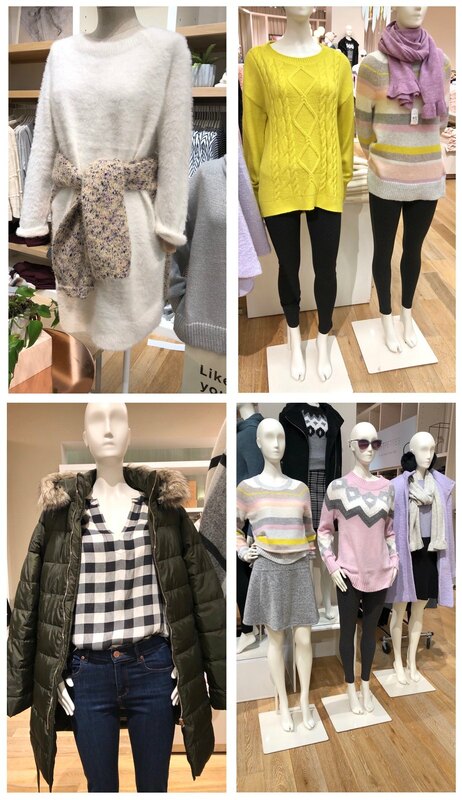 I’m excited to partner with my local LOFT stores @loveloft_prudentialcenter and @loveloft_derbystreet to share these try-ons. For size reference I am 5′ 2.5″ and I take size XS petite or 0 petite if an item runs true to my usual size at LOFT. For extra coziness you can add a versatile layer over the dress which also helps to tone down the print. For layering over the dress I liked the softly fitted and oversized look of size S petite in the sweater. I like how this look makes the dress look like you’re wearing a skirt. This dress has is shorter and my usual size is 32″ total length. I would typically take size 0 petite but I took size 00 regular for the extra length. 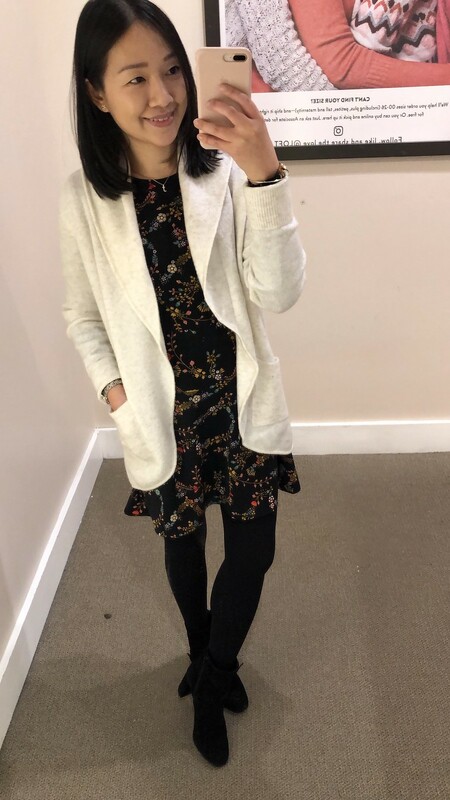 I tried on this cardigan in both the linen white color and the mauve glow color pictured above (it also comes in a pretty blue color. Note that the linen white color fits larger than the mauve glow color even though I tried on the same size and the sleeves are noticeably longer too as seen here. 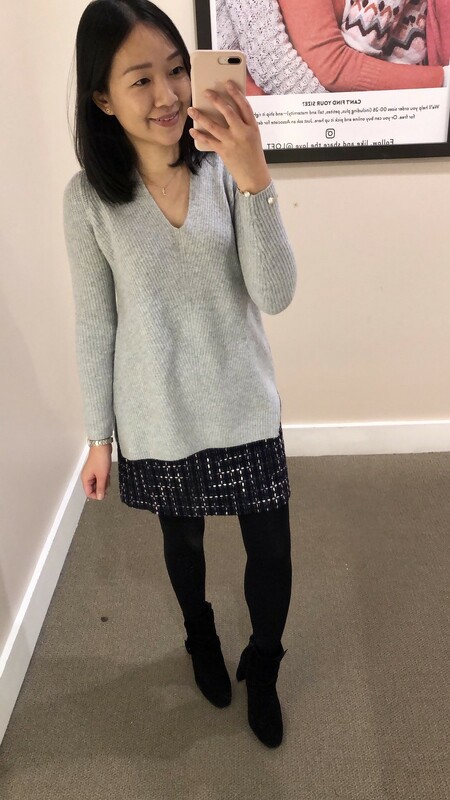 I preferred the longer length of regular missy size XS even though I had also tried on the cardigan in petites. 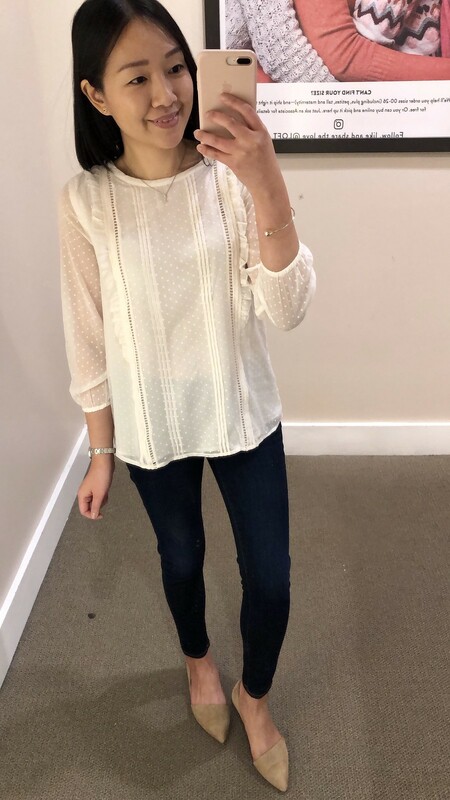 This swiss dot blouse caught my eye on the racks. 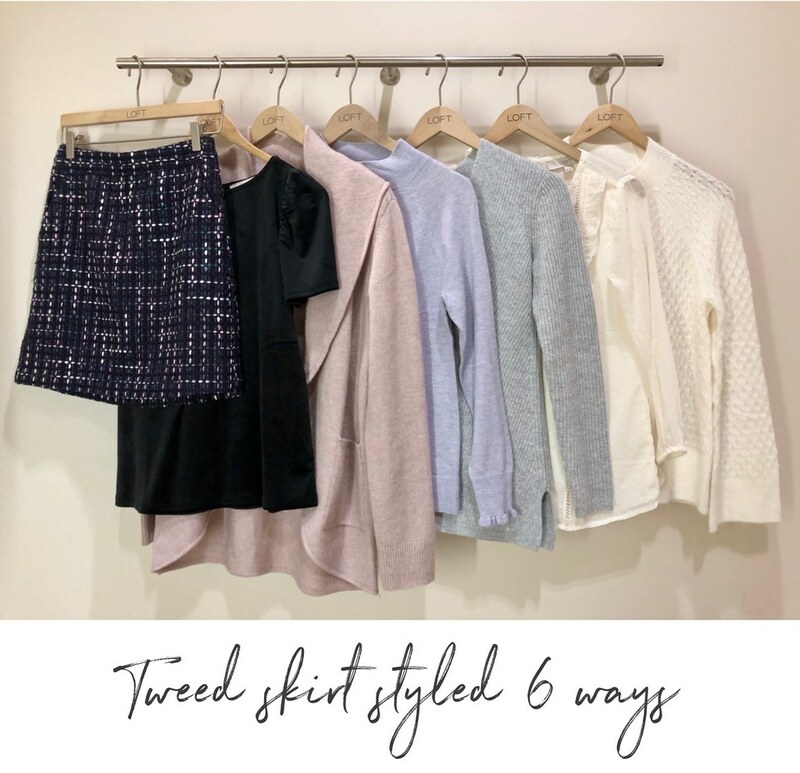 It’s lightly lined so it may be slightly sheer for some but it looks great as a layering blouse under cardigans and blazers or by itself. My usual size XS petite is very loose fitting on me so I would have needed size XXS petite for a closer fit. 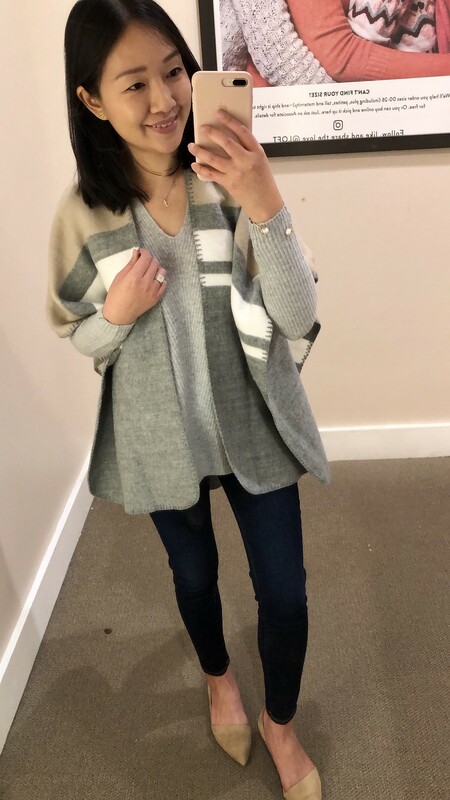 I love the textures on this boucle top. I tried on size S petite here for a relaxed fit but I decided to go size XXS regular for extra length. I noticed that the shoulders, bust and sleeves fit more narrow so you may prefer to size up for comfort. This new open style wrap is really cute and size XS/S was a good length on me. 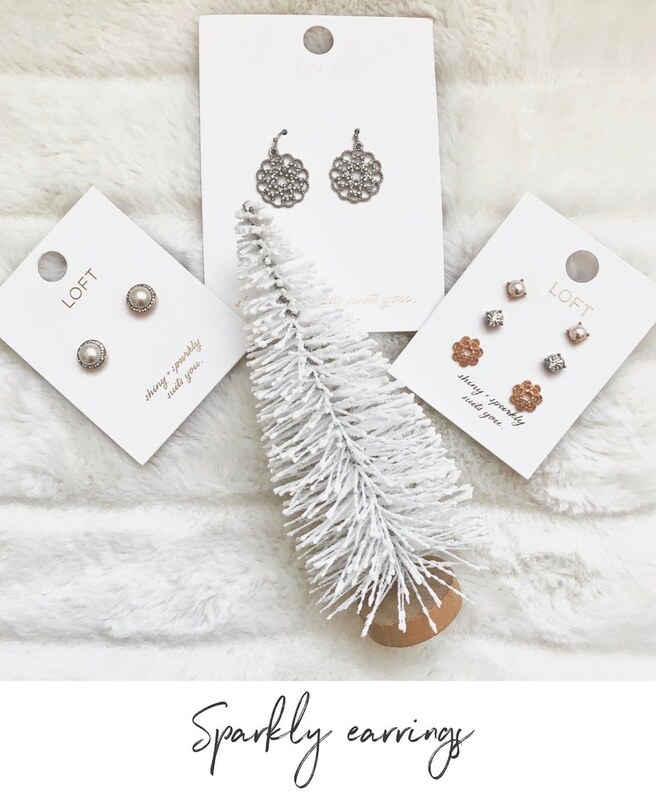 I am obsessed with the jewelry selection and these are my favorite new earrings to give and get. 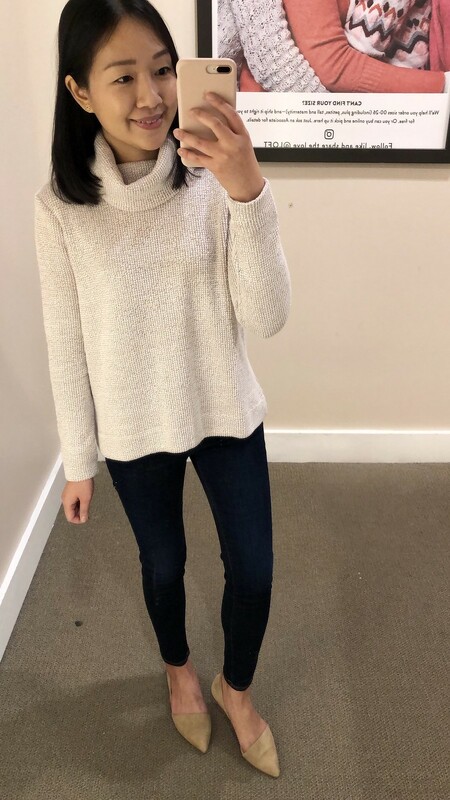 This post is sponsored by LOFT but all opinions are my own. Thanks! I hope you grabbed some new arrivals on a good sale this past weekend. The sale with the LOFT cash cards was amazing!